I like to keep a little bit of curated inspiration above my desk; it’s mostly scraps of paper I like, or pictures that take me back to a fun time. I call it an Olio String. 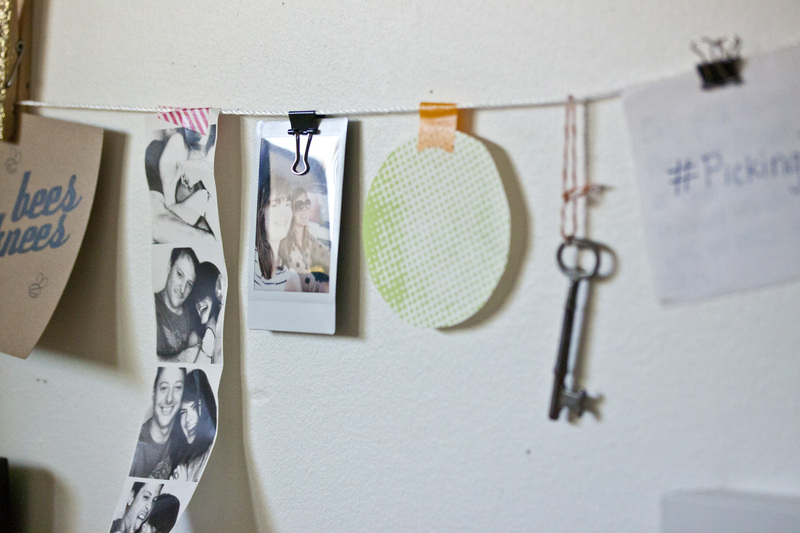 It’s easy and fun to make – and can add so much to an empty wall. I’m asking you to join me at Grove Fest this Saturday to make an Olio String of your own! We’ll have all the materials on the DIY table in the Grove Fest Fashion Corner, but feel free to bring your own pictures, cards, or anything else you find inspiring. We’ll have the DIY going from 2pm-6pm in the Grove Fest Fashion Corner – you can RSVP here, but it’s not necessary. I’d be happy if you just stopped by to say hello! You can also get all inclusive VIP tickets for the runway show for just $20. That’s an open bar, tasty food, live music, and somewhere in that party a very good friend will be revealing your future as the (mis)fortune teller. You’d be silly to not take advantage of that! Hope to see you this Saturday in the Grove. This looks like fun. I keep meaning to make that DIY. I have to work and then run a 5k so my Sat is packed to the gills…Bummer. 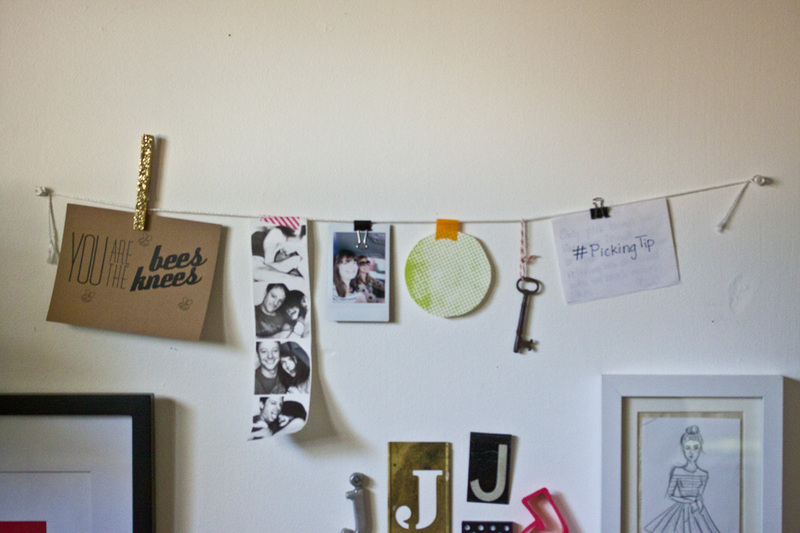 I love little curations like that; I have a cork board in my office where I stick up pictures, postcards, drawings… little bits of life and other things. I love the idea of an Olio String, because that means you can put one of these up anywhere!